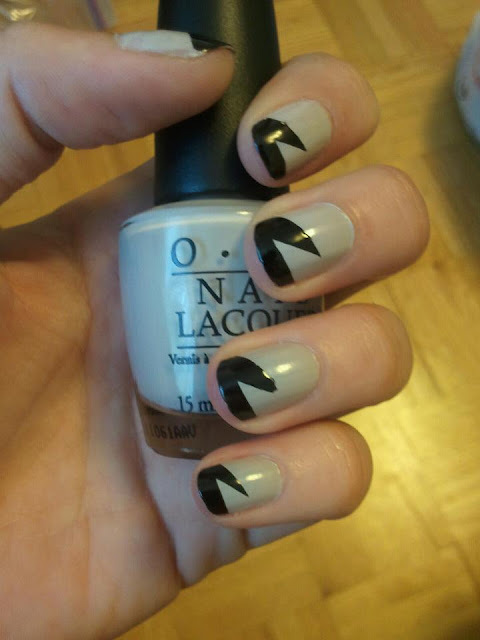 This design has a special place in my heart, because it was actually my first attempt at nail art from way back in September 2011. :') It's a tape mani, and I got the design from Nailside. I really should send her a message or something, since her tutorials are what gave me the confidence to start trying nail art designs! So I was out of town without any of my gear over Christmas, which meant no nail updates. Well, that's a lie. I did a nice green and gold gradient mani once my Holly Frame Mani started chipping and had to be taken off, but since I didn't have any of my clean-up tools my cuticles were terrible so you probably won't be seeing pics from that one. I might re-do it in the future though, because it was a nice combo of colours. Unfortunately, it seems the climate up north did something to my nails. Once I got home they were peeling and splitting all over the place, which I haven't had to deal with for ages. So, while my nails are recuperating I'm going to be posting a series of older designs that I did and photographed pre-blog. I'll be tagging all of them with the Untidy label (since I didn't know anything about cuticle care or cleaning at that point and as such they look pretty untidy at times).